Fleet Freedom Version 4 Beta is here! 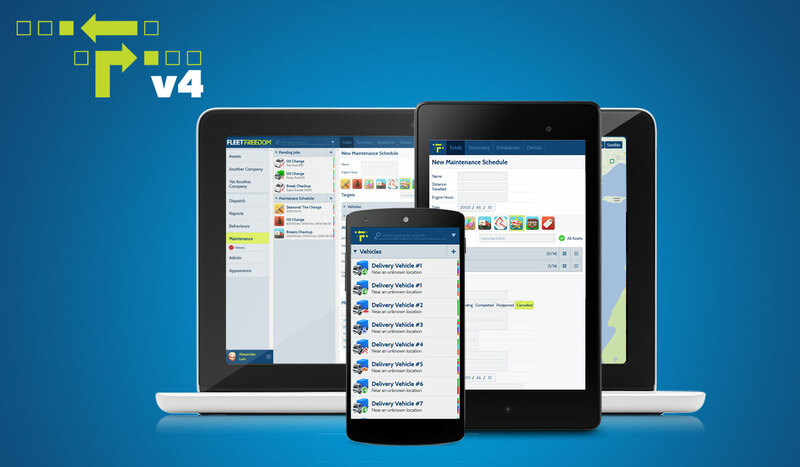 Announcing Fleet Freedom's new V4 fleet and mobile resource management application! With the introduction of V4, Fleet Freedom is the first company to successfully integrate a Fleet, Dispatch and Mobile Resource Management product into a single mapped interface. This flexible application works on Android, iOS and Magellan's RoadMate® Commercial devices. At this year’s CTIA conference, Fleet Freedom will debut a new fleet and mobile resource management application. This flexible application works on Android, iOS and Magellan’s RoadMate Commercial devices. Trak iT® Wireless and Fleet Freedom® are Trademarks of Trak iT® Wireless Inc.
All content contained within this site is the property of Trak iT® Wireless unless otherwise stated.